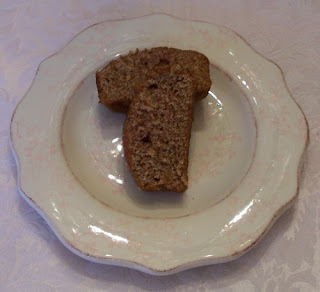 I am so excited to share one of my favorite holiday recipes... Banana nut bread. This recipe is easy and so good!! 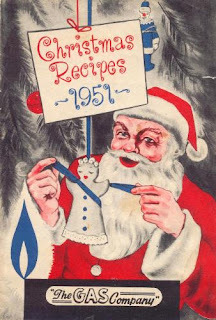 It comes from my Aunt's old Christmas cookbook she got at a church rummage sale. I hope you will try it and love it !! Cream sugar and shortening; add eggs, flour, soda, bananas, and chopped nuts. Pour banana bread batter into 1 greased and floured loaf pan; bake at 325° for about 1 hour and 15 minutes, or until a toothpick inserted in center comes out clean. This banana nut bread recipe makes 1 loaf. This sure sounds delicious. I had to google shortening though. I think it's something anglo saxon and not available in continental Europe. Do you think I can use butter as well? Thanks! Yummy! I will be trying this one! It will be great for the holidays! Love the cover on the cookbook. I am loving these tutorials and guides. It has me super charged for the holidays. Thanks for sharing the goodness, I'll be checking in regularly to see what else you all have to share. I loev bananna nut bread...its the best thing in the world...cant wait to try this! I love banana bread and it's always fun to try a new recipe for it! Thanks for sharing it...and the cookbook cover. It's so cute! Banana bread is always yummy. For Lili - I never use shortening or Crisco - always butter. It tastes so much better and is more natural. Thanks everybody for letting me know that I could use butter. I'll let you know the results (no Crisco up here either, or perhaps under another brand name).